I don’t know about you, but one of the staples in my apartment is a rich marinara sauce that is easy to make and when I tell you it’s the best marinara sauce in the world (except Italy of course), you’ll just have to try it to believe me. I use it at least every other day on pasta or pizza or something else delicious. I like to make it in big batches, use some of it, and refrigerate the rest for another day. If you do not plan to use the fresh marinara within a week and a half, go ahead and freeze it, and it will stay good in the freezer for 6 months. Then when you are ready to use it, just defrost and reheat. 1. Put all the diced onion in a large non-stick sauce pan and sauté approximately 6 minutes on medium heat or until they are translucent stirring occasionally. 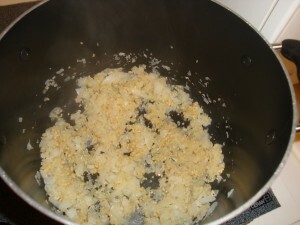 You don’t need to use water or oil to saute the onion, but you can if you’d like. 4. If you like your marinara sauce chunky, then just add the fresh basil. You can julienne or chiffonade the basil. 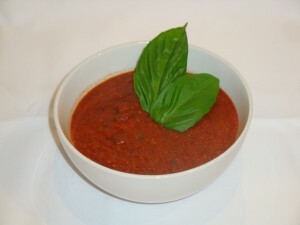 If you like your marinara sauce to be more smooth, then blend the sauce and basil together until it is smooth to your liking. 5. Garnish with a few basil leaves. 6. 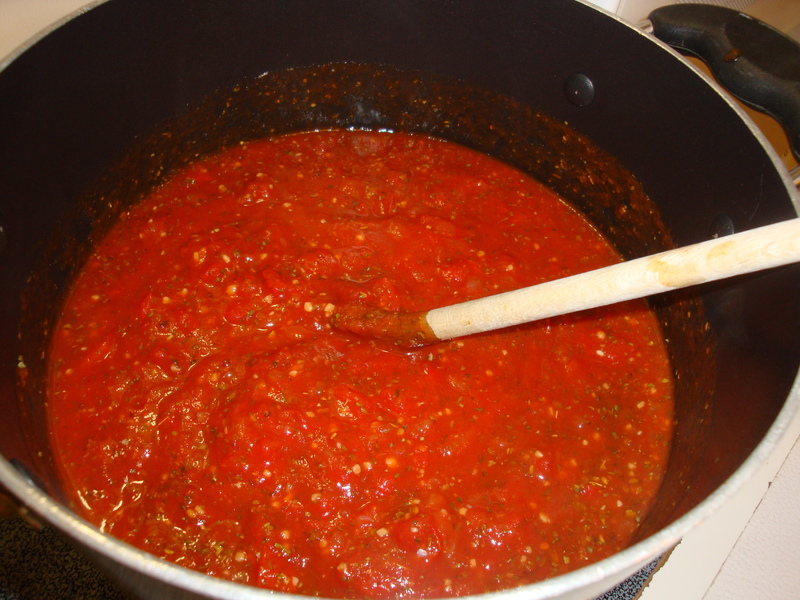 Now, the marinara sauce is complete! Please feel free to leave feedback on how you made the marinara sauce, if you made any changes, and if you liked the best marinara sauce ever recipe. looks scrumptious and very healthy! Thanks! Let me know when you try the recipe. I tried this recipe as an alternative to both the marinara sauce my kids love to dip their pizza in and as a suace for the homemade pizzas we make. My kiddos are typical toddlers and they loved this sauce and it was easy to make! Definitely a keeper for my family! That’s great to hear! I think it’s wonderful when kids eat healthy and delicious food. So glad they liked it! Let us know if you try any of the other yummy recipes. I have always wanted to try my own marinara sauce. thanks for the recipe!! I found this recipe excellent as a pizza base wash to replace the tomato sauce that we usually use. It was delicious. Thank you.